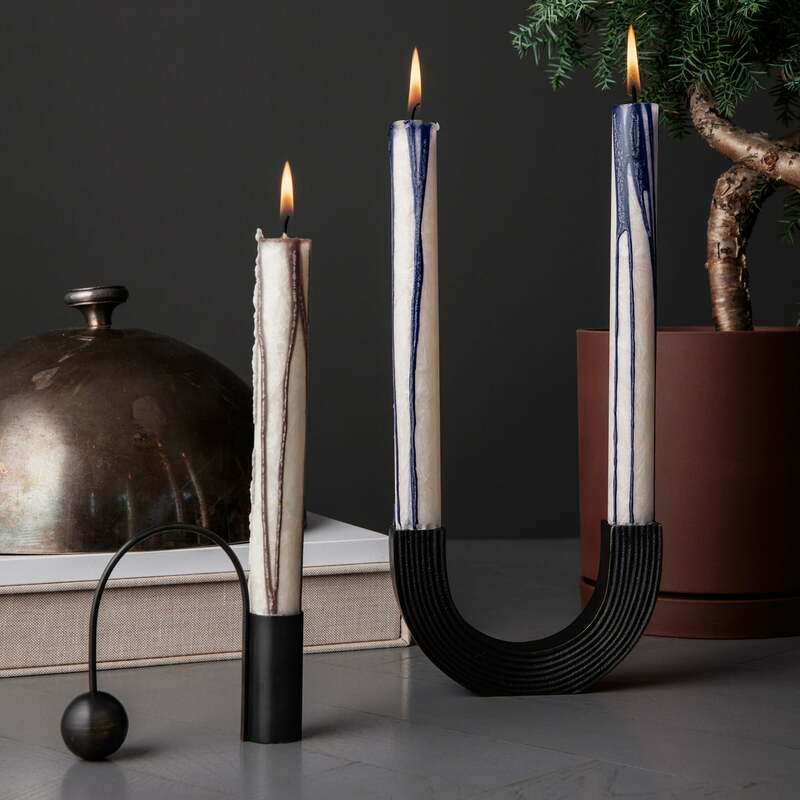 The Duo candles by ferm Living are classic taper candles with a beautiful two-coloured appearance. They were designed for the various candleholders in ferm Living's Christmas collection and together they create a modern and festive atmosphere in the pre-Christmas period. The candles are available in a practical set of 2 and are made from RSPO certified palm oil. RSPO was founded in 2011 by the environmental organisation WWF and stands for the sustainable cultivation of palm oil. 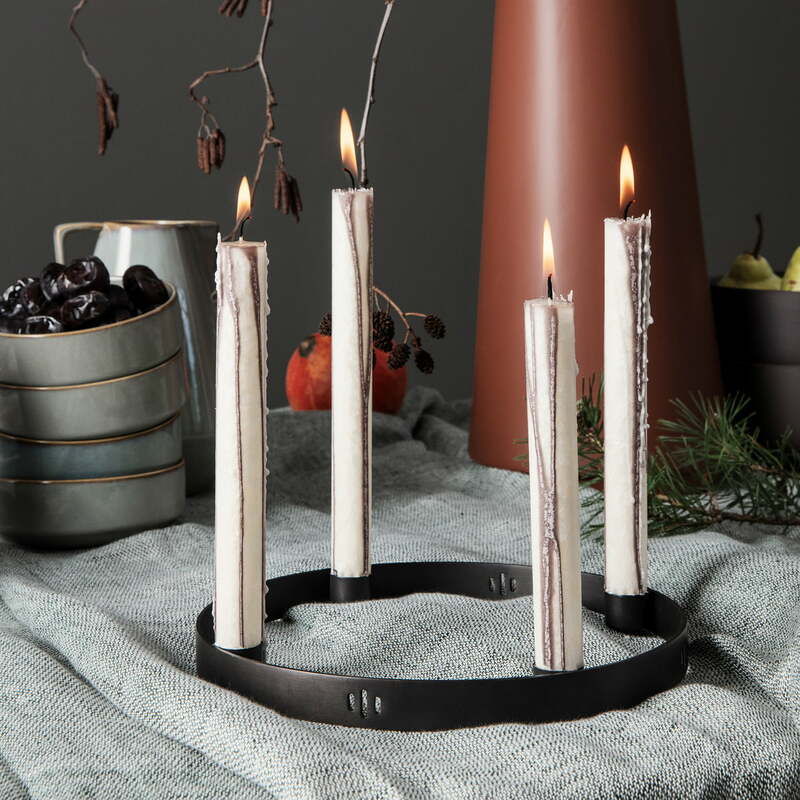 The candles are available in different colours, fit perfectly in the candleholders by ferm Living and also look great in other candleholders designed for taper candles. Isolated product image of the Duo candles by ferm Living in Warm Grey. 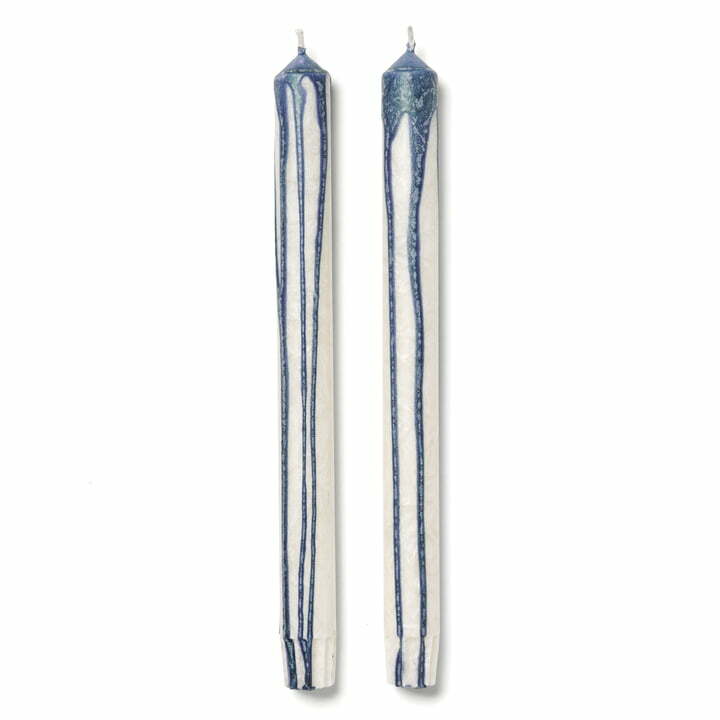 The candles are available in a practical set of 2 and are made from RSPO certified palm oil. Isolated product image of the Duo candles by ferm Living in Mustard. 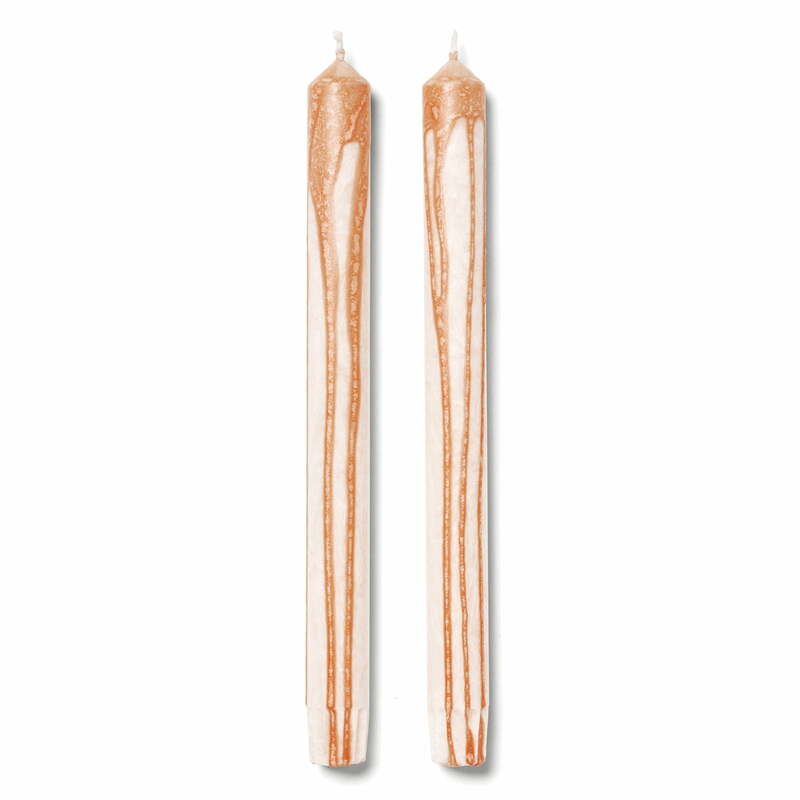 The candles are available in a practical set of 2 and are made from RSPO certified palm oil. 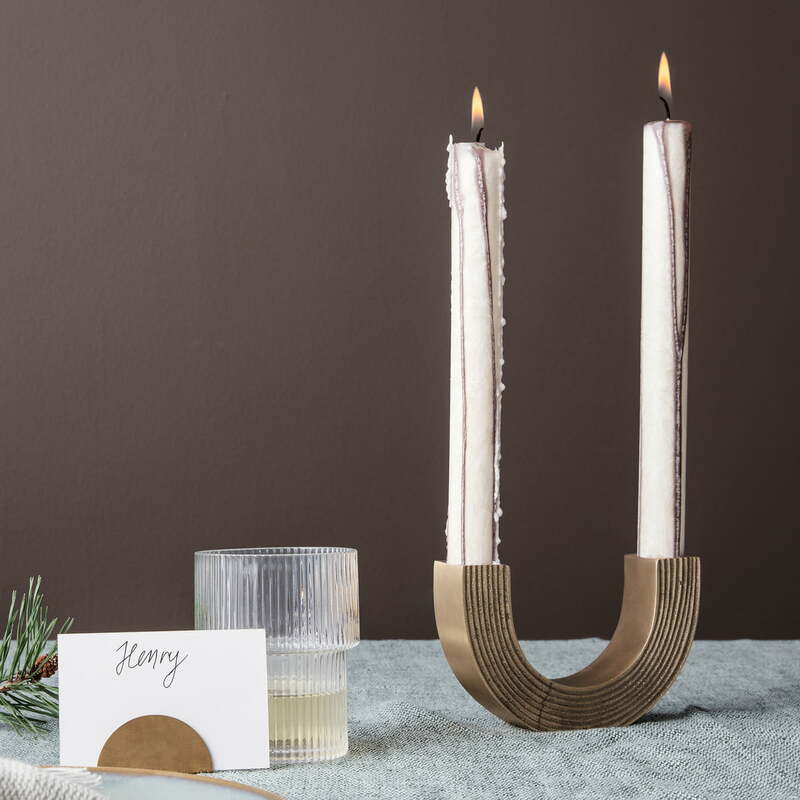 They were designed for the various candleholders in ferm Living's Christmas collection and together they create a modern and festive atmosphere during the run-up to Christmas.